Looking to gain some serious Horsepower? Don’t know where to start when piecing all of the components together to do so? 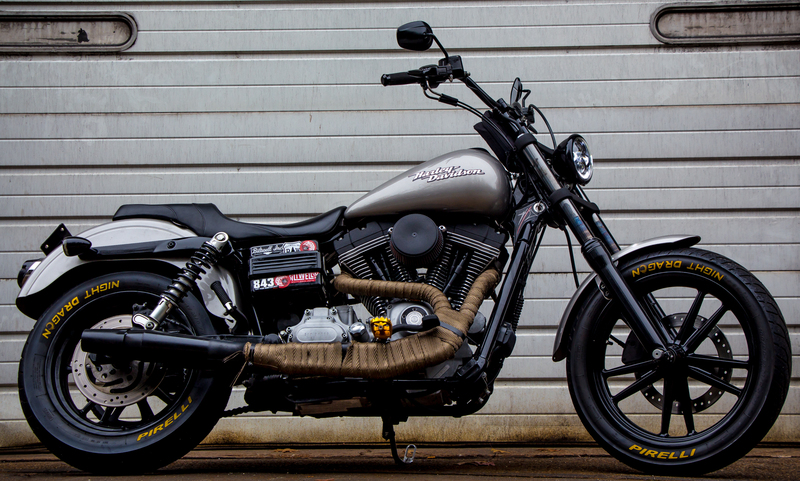 S&S Cycles has made it easy to turn your 96″ Harley Davidson into a monster in no time. This 110″ conversion kit comes with everything you’ll need and is available for ’99-’06 (exc. ’06 FXD) & ’07-’17 Twin Cams (exc. ’17 FLH, FLT). I installed the kit on my daily ’07 Superglide. After blowing through two oil pumps on my Dyna, both stock and a Screamin Eagle pump/ plate kit it was time to have my crank sent out to get reworked. The runout was at .008″ and it was time for an overhaul. I decided to do this build over time as I didn’t have the funds to just jump all in. First I tore the bike down, split the cases, and sent the crank to R&R Cycles in Manchester, NH to get trued. If you’ve never heard of R&R Cycles they are the go to in the North East for performance V-Twin engine work. It’s where Jody Perewitz, also known as the fastest women on a V-Twin goes to push her land speed bike to the limit. As all of you know once you tear your bike apart it never just goes back together the same way it was. Since I already had the cases split I figured it was time for an engine upgrade and S&S had just released this new performance power package. S&S cam chain tensioners or outer cam drive gears depending on selection. I decided to mix it up and install the black kit on my blonde motor, I’ve always loved the look of the black cylinders on blonde cases on Shovels. After getting the bike back from R&R Cycles it was time to install the kit. The 110″ install is fairly easy to do yourself as long as you have the tools to do so. Here you can see the 585 Easy Start Cams installed with TC3 Oil Pump and Plate. Once you finish the cam install it’s time to drop in those premium tappets that are included. Below you can see the tappets installed followed by the 4″ bore bolt on cylinder and piston kit. Once you get the pistons and cylinders on, install the heads, and torque ’em it’s time to drop in those S&S Quickee Adjustable Pushrods & Tubes. The adjustable pushrods are easy to install, the kit includes all the directions you’ll need for the pushrod adjustment. Once the S&S kit was installed I cleaned up my Thunderheader with a fresh roll of heatwrap from the local auto store, replaced the Arlen Ness air filter and added some gold Flo Moto Pegs to the bike. As you can see it plugs right in place of the stock ECM, once you complete the install you’ll need a computer to download the base map into the bike.